I woke up to this wonderful surprise from my soap-blogging friend at http://kotikemistinpienipaja.blogspot.com this morning; she had listed Oil & Butter as one of her favorite blogs! I was so touched by this gesture, and in the spirit of sharing of the blogging community, I will share with you my 5 favorite blogs too. Thank you Kirrpu for choosing my blog and sharing your 5 favorites, I had fun checking them out and discovering new ones! 4. Be thankful for the recognition you received, although it has been told with a post-it note, and hope that people share it forward. I’d Lather Be Soaping – Jenny’s blog was one I kept stumbling across while I was researching soapmaking after my hiatus. I’ve learned so much by reading her blog. I admire her curiosity and creativity as she tackles new techniques and shares her experiences; but most of all, I admire her unwavering support and encouragement towards other soapers. Glad Heart Soaps – Laura was my first official blog follower, thank you Laura! She was appointed to Brambleberry’s S.O.A.P. team this year, and I was so excited for her and had so much fun reading her blog as she shared her S.O.A.P. journey. Her blog is always entertaining to read, and she makes amazing soaps too! SoDak Soaper – Kalla’s blog is another one I kept stumbling across as I was researching soapmaking. She has tried and shared a lot of things that I was interested in trying. I still have her beer HP tutorial bookmarked to try someday! Chocolate Covered Katie – I wanted to pick a blog that wasn’t soap related, and this is one of my favorite foody ones to visit. Katie is a self-described chocoholic (like me! ), but she uses her powers for good and not evil and started this healthy dessert blog! Her single-serving peanut butter cookie is one of my favorite indulgences, her healthy dessert recipes are pure genius! Aww, thank you so much Cee Gee! 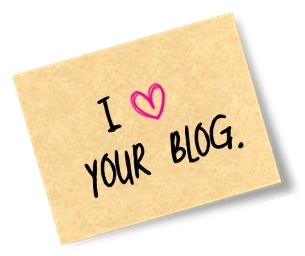 Your blog def ranks among my top faves too! I shall have to tackle this type of post!! Thank you so much for your kind words about my blog, Cee Gee! I appreciate the shout-out. Your blog is one of my favorites, too, and I always love seeing your beautiful soaps! You're most welcome, both of you deserve it! Laura, as you can imagine, it wasn't easy to narrow it down to just 5!